View of San Diego Coronado bridge. View from the harbor. 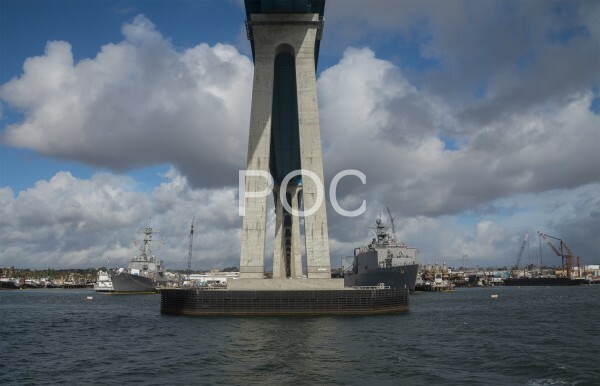 Pictures of military ships and cargo. View of the bottom of bridge. San Diego Harbor royalty free stock photography.